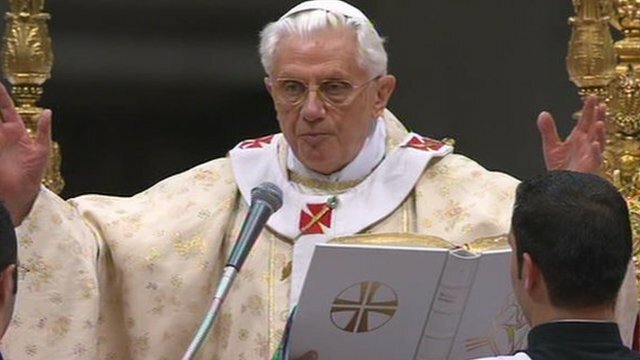 Pope celebrates Christmas Eve Mass Jump to media player Pope Benedict XVI has begun celebrating an evening Mass at St Peter's Basilica at the Vatican. 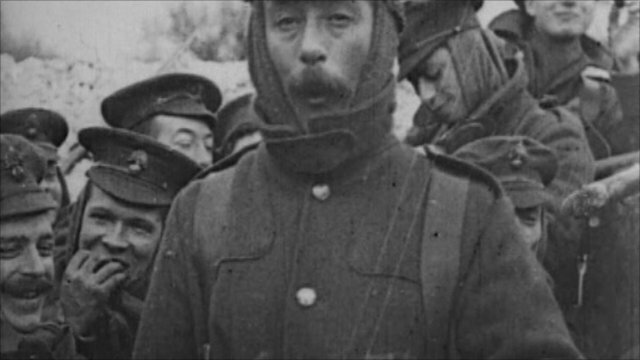 Then and now: Christmas on the front line Jump to media player A comparison of the way troops celebrated Christmas during World War I, with how the British Army is marking the occasion in Afghanistan in 2010. 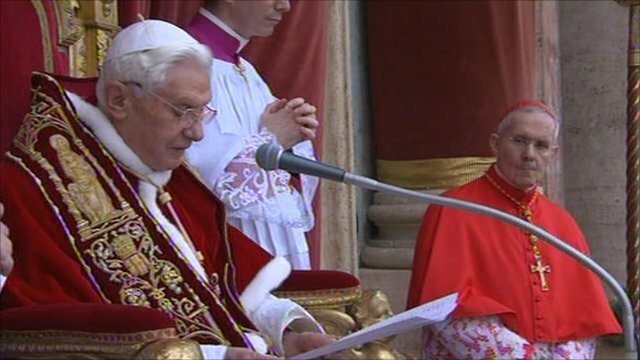 Pope Benedict XVI has expressed his hope for an end to conflicts around the world in his traditional Christmas message from the Vatican. Addressing a large crowd from the balcony of St Peter's Basilica, he called for peaceful co-existence in the Middle East.